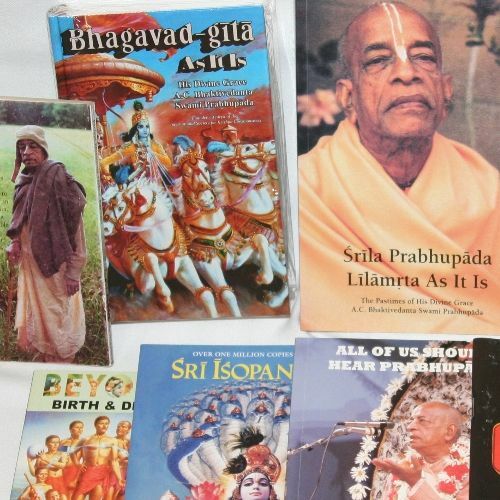 Prabhupada Store - For Original Prabhupada Books, DVDs, CDs & More. For Unchanged Original Prabhupada Books, DVDs and CDs at great prices. 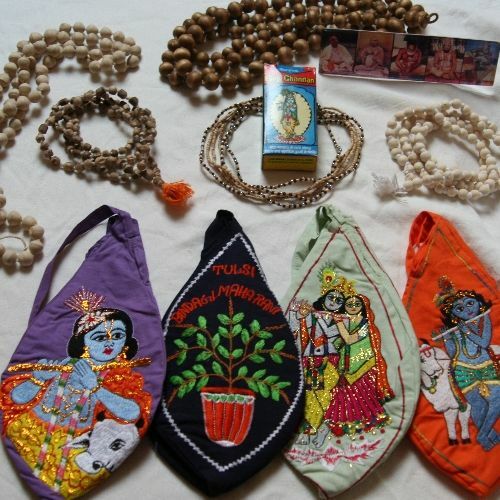 Children's Devotional Cartoons, Devotional Item and many more. *Our products are shipped from the England so shipping prices will be cheaper and delivery times quicker! Genuine Neem japa beads for chanting the Hare Krishna mantra. Hand crafted in Vrindavana, India. Genuine Tulsi Wood -- Guaranteed. "Hanuman" tells the journey of this great devotee monkey from his days as a naughty but blessed baby, to his eventual triumph in the army of Lord Rama. Parampara Picture in Resin. 7 inch x 2 inch. Album produced by George Harrison, featuring The Hare Krishna Mantra, Govinda prayers and other devotional music. Tracks from this album were in the top 10 on music charts in London and around the world in 1970. 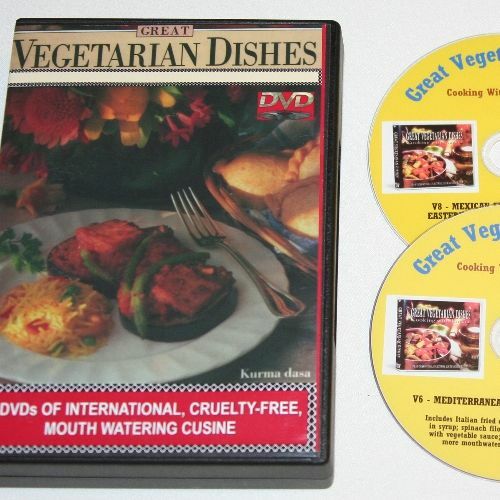 On compact disk (CD). Original 1972 Complete edition. With translations and elaborate purports by His Divine Grace A.C. Bhaktivedanta Swami Prabhupada. No other philosophical or religious work reveals, in such a lucid and profound way, the nature of consciousness, the self, the universe and the Supreme. Prabhupada lives in in his teachings and we can continue to associate with him, a pure devotee of Krishna, and continue to benefit. The "Complete Prabhupada DVD Library" is the perfect opportunity to personally associate with Srila Prabhupada! Genuine Tulsi japa beads for chanting the Hare Krishna mantra. Hand crafted in Vrindavana, India. The Ramayana is an ancient Sanskrit epic and it tells the story of a prince, Rama of Ayodhya, whose wife Sita is abducted by the demon King of Lanka, Ravana. Rama is the hero of this tale and he is portrayed as an incarnation of the god Vishnu. The concept of Dashavatar (Ten Avatars) has tremendous significance even in todays jet age. Evil has been present at all stages in the evolution of mankind and the Dashavatar in a way brings out this evolution through the triumph of good over evil. 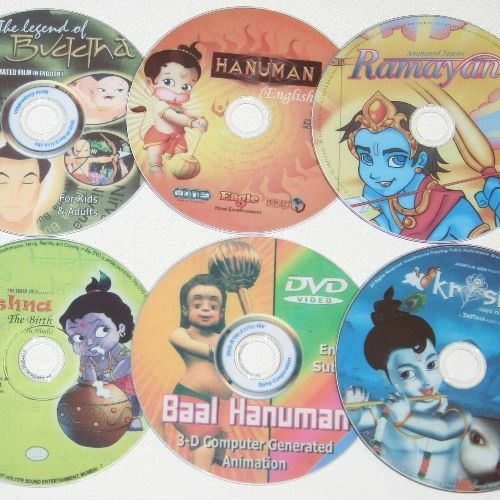 Little Krishna, the first ever multi-million dollar 3D animated Krishna television series is now available on a DVDs! Little Krishna features stunning graphics, bringing Krishna's Vrindavan pastimes to life. This animated series tells five fascinating stories about the Pandavas and the Kauravas. The incident mentioned in these stories will leave you spell bound. The book is a compilation of quotes from the teachings of HIS DIVINE GRACE A.C. BHAKTIVEDANTA SWAMI PRABHUPADA on the importance of hearing from a self realized soul. Truely a work of pure love and devotion. Fully utilizing all the space on every page to print the actual words spoken by Srila Prabhupada himself about the mission of his live to spread Krsna-consciousness all over the world. 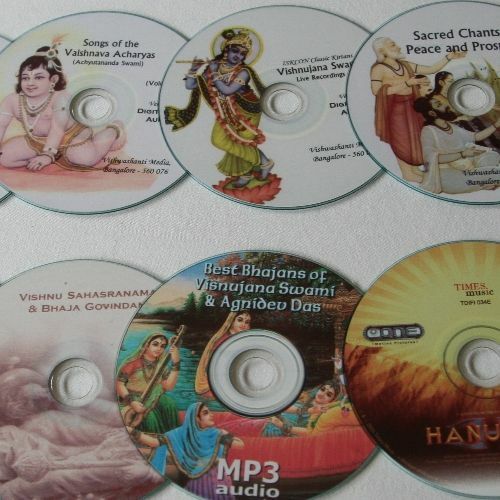 Srila Prabhupada MP3 Audio Library -- Now on 3 DVDs! It is stated, therefore, that all men should take advantage of hearing from realized souls and gradually become able to understand everything. The worship of the Supreme Lord will then undoubtedly take place.